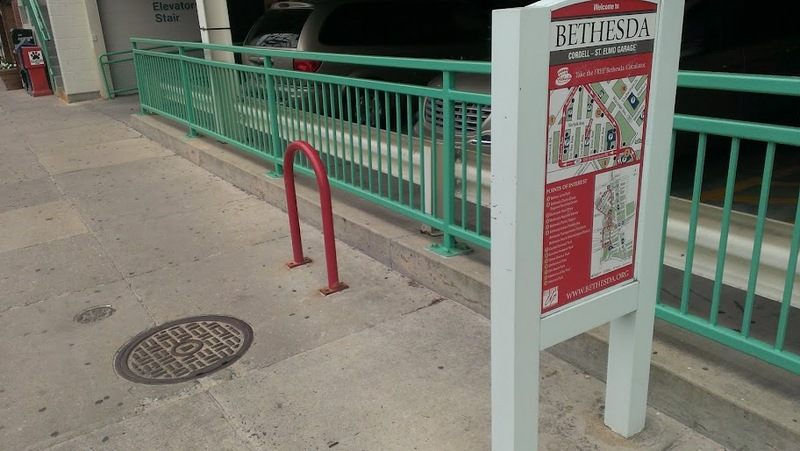 Biking to Bethesda just got a whole lot easier! 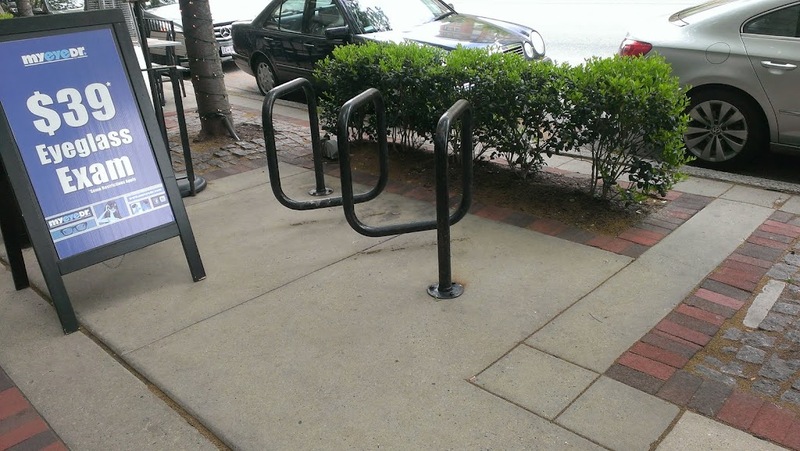 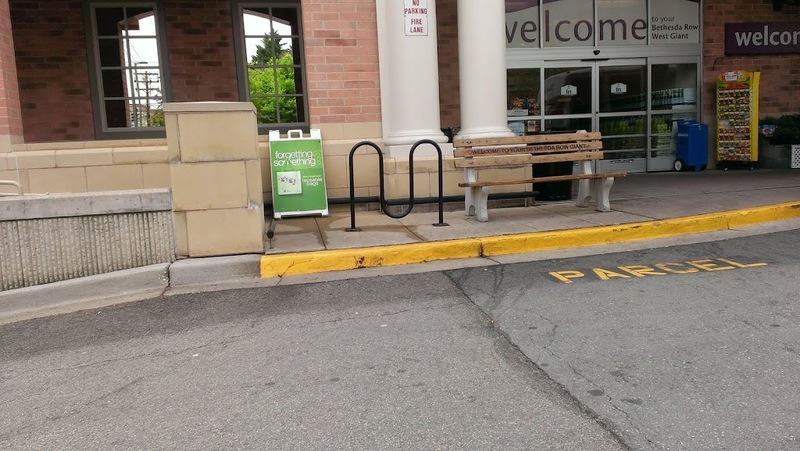 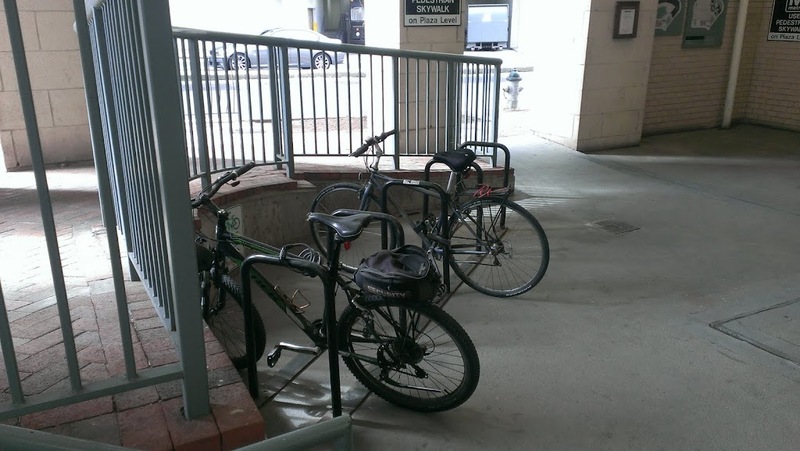 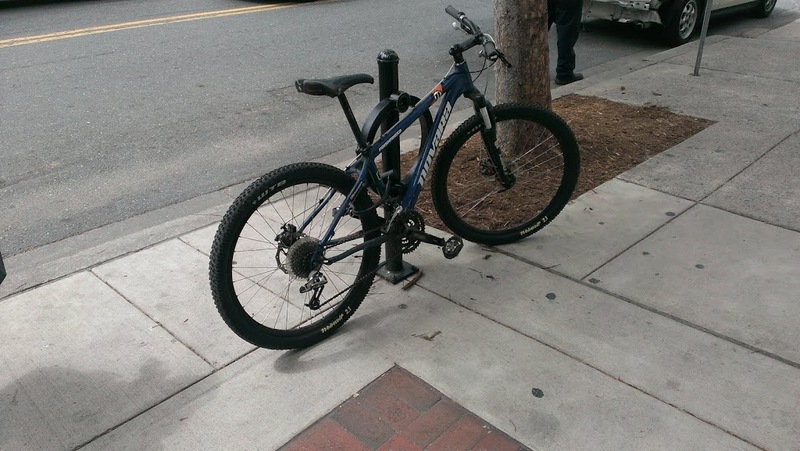 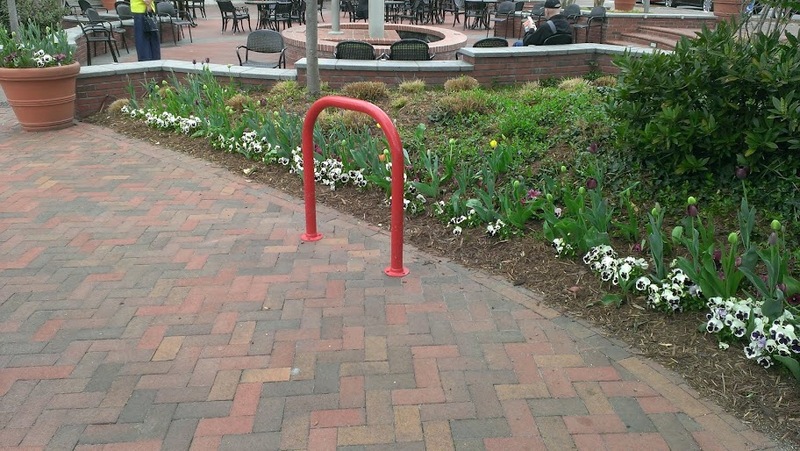 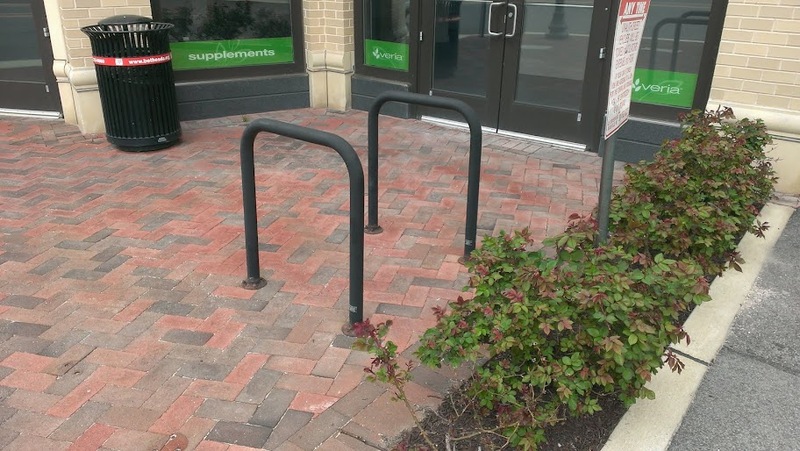 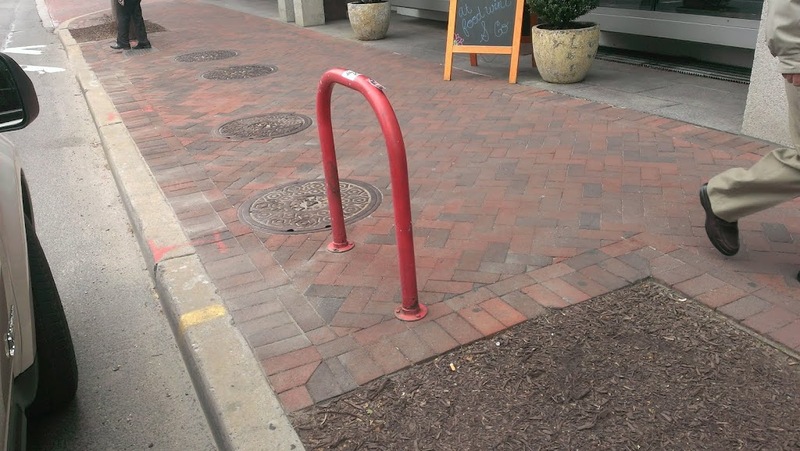 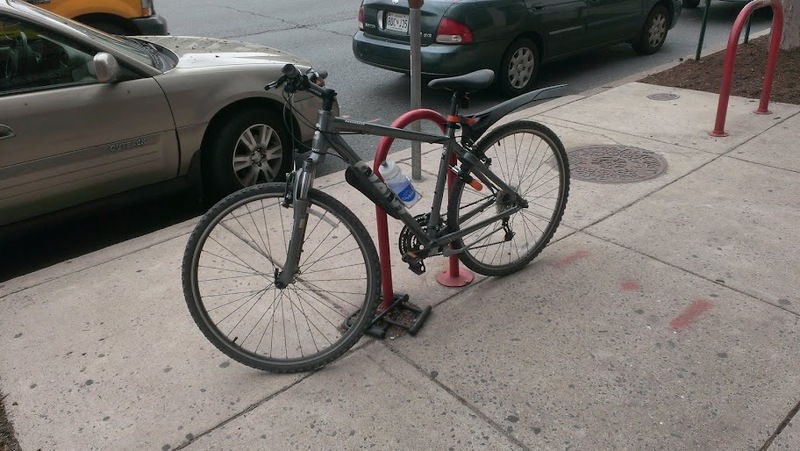 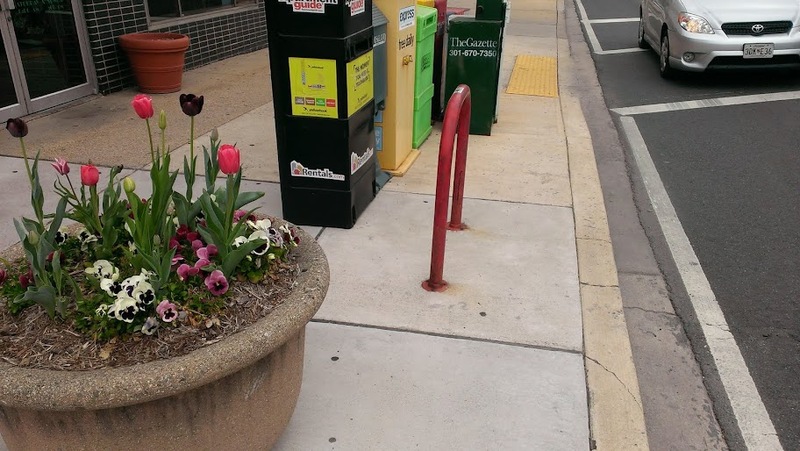 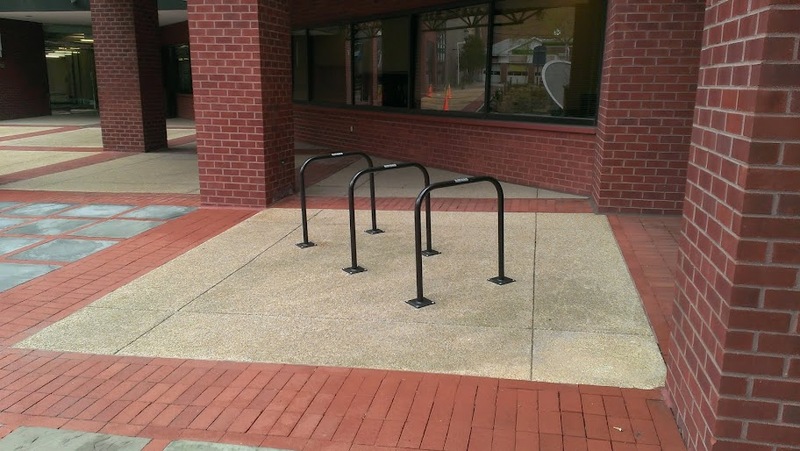 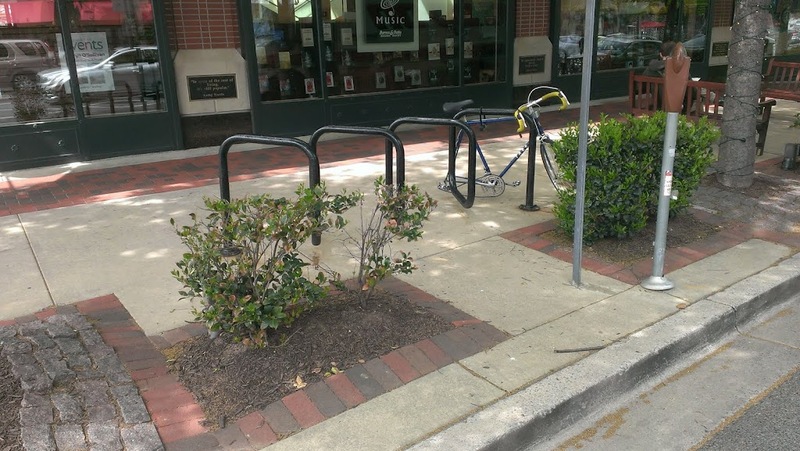 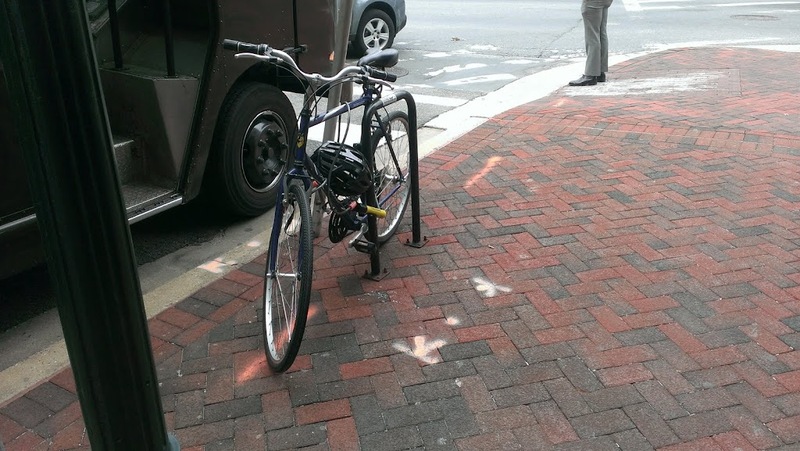 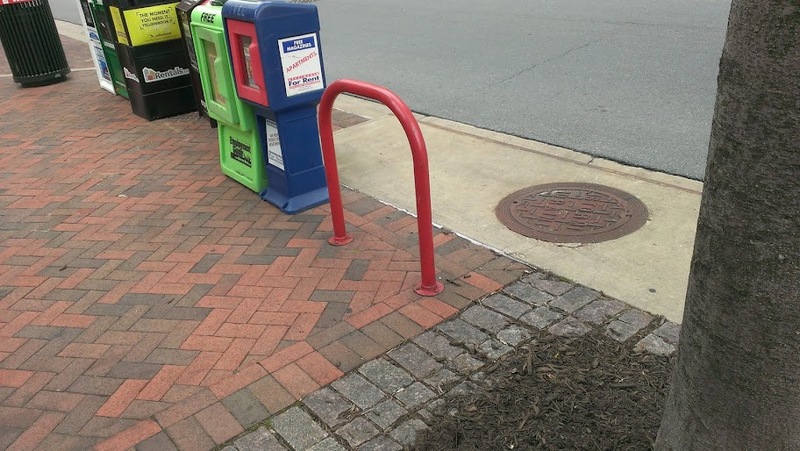 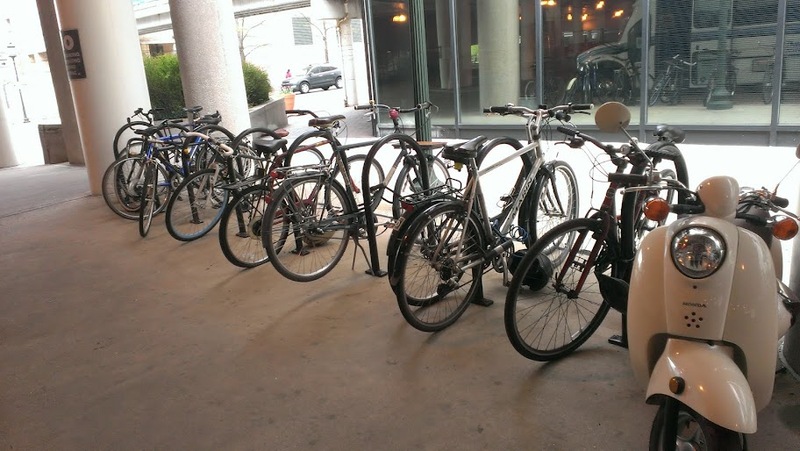 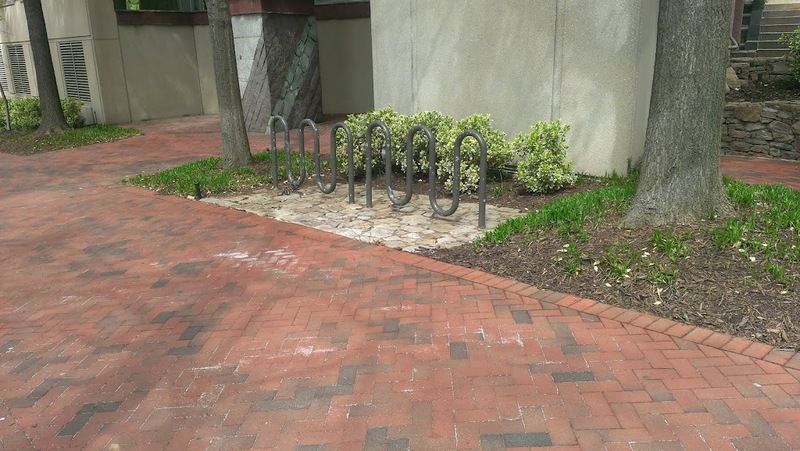 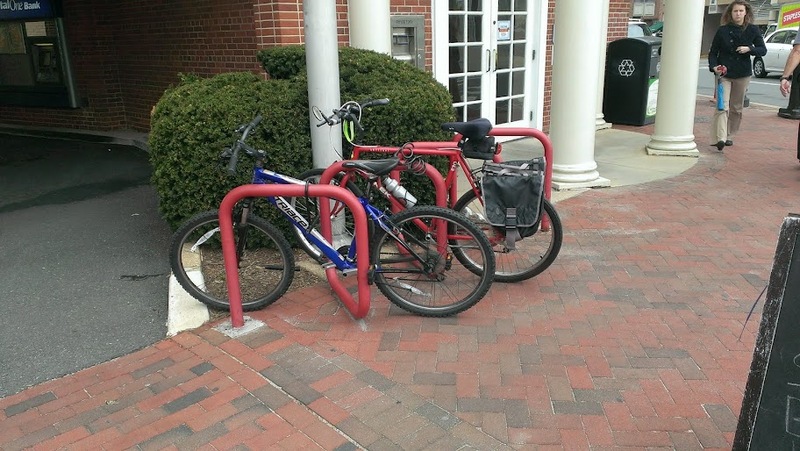 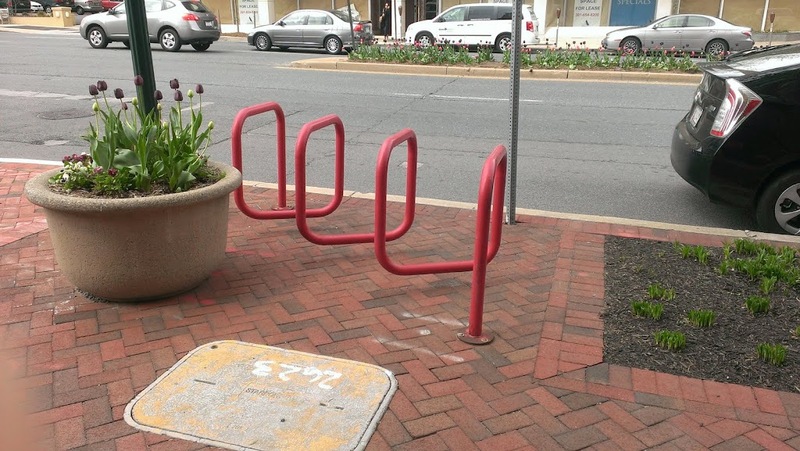 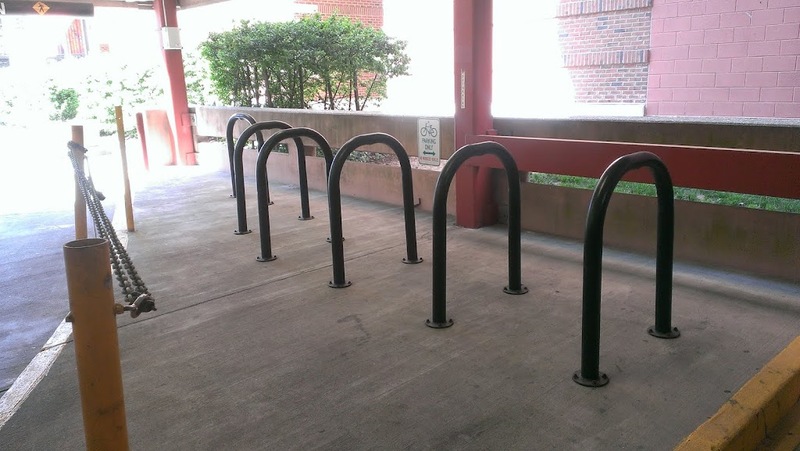 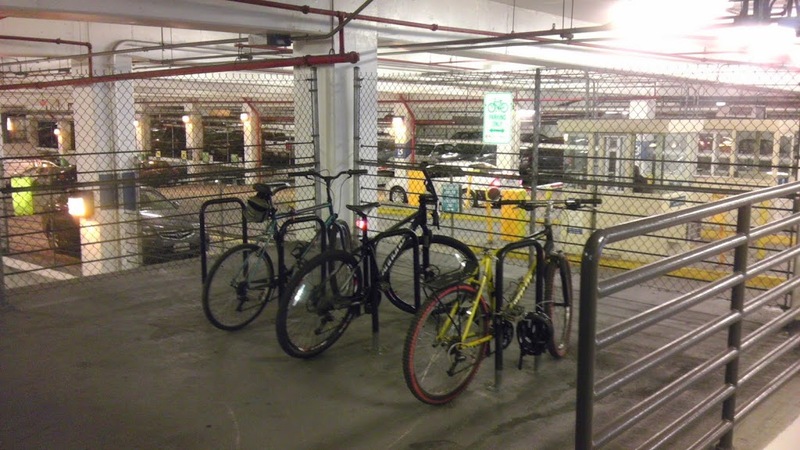 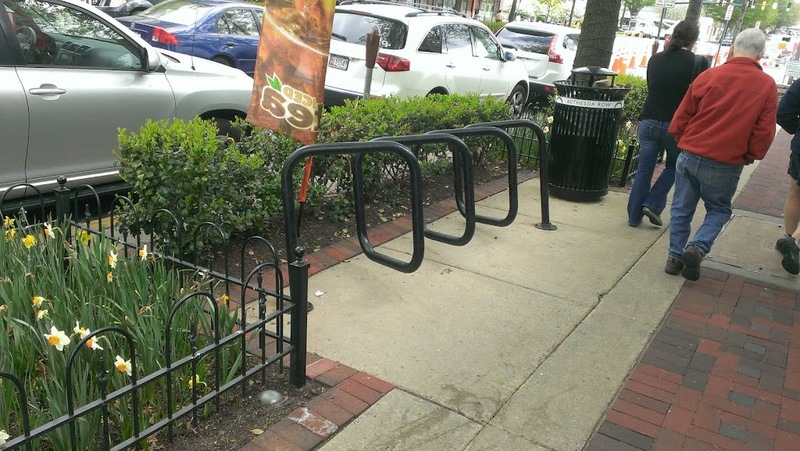 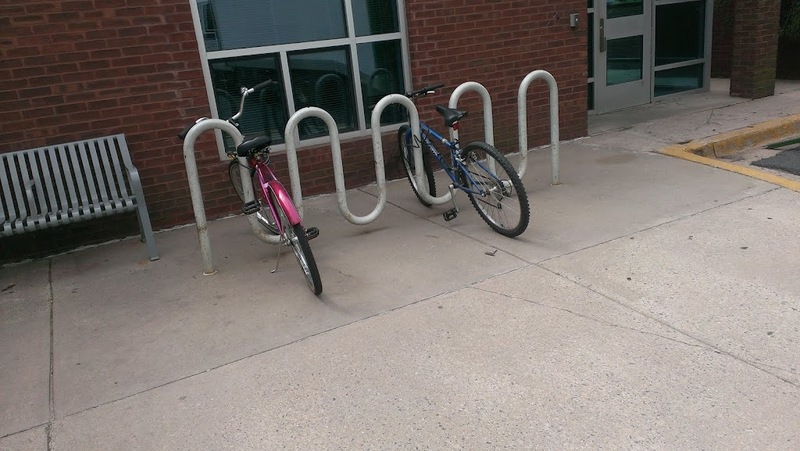 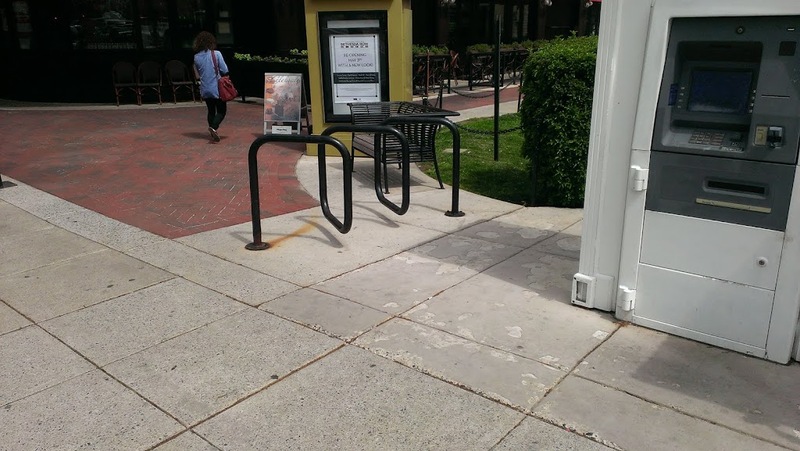 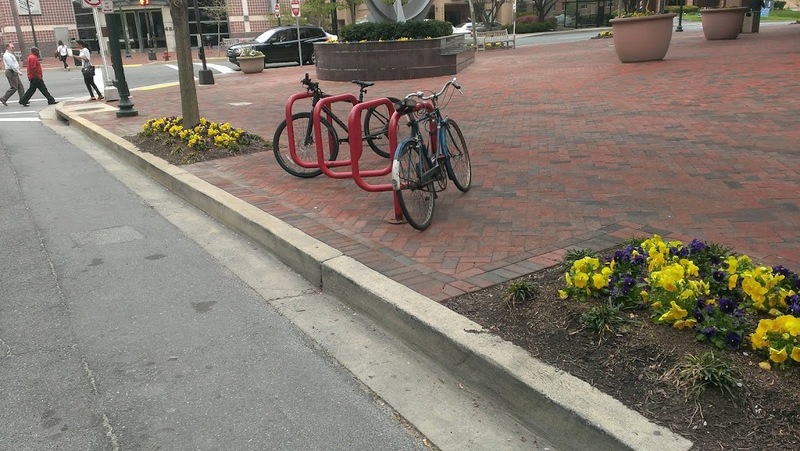 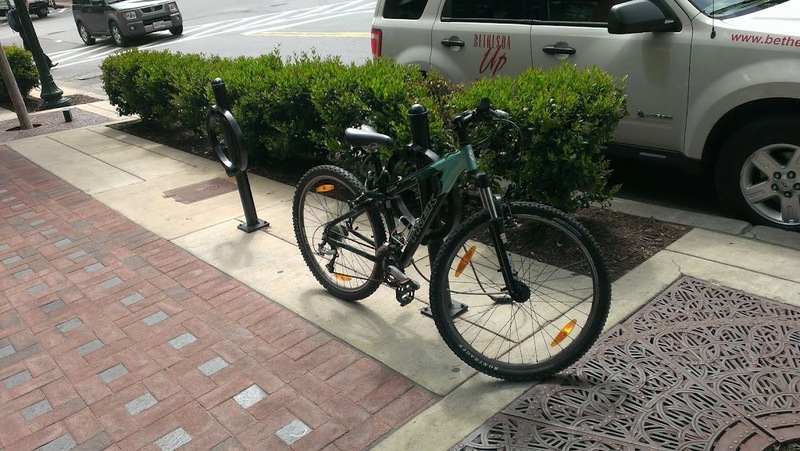 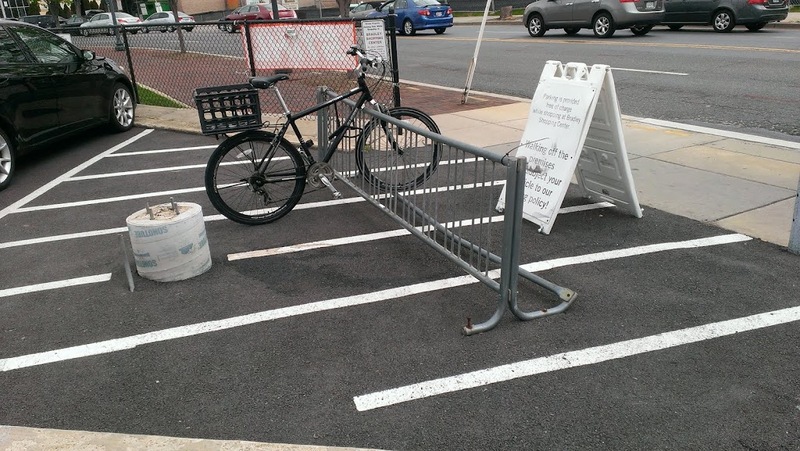 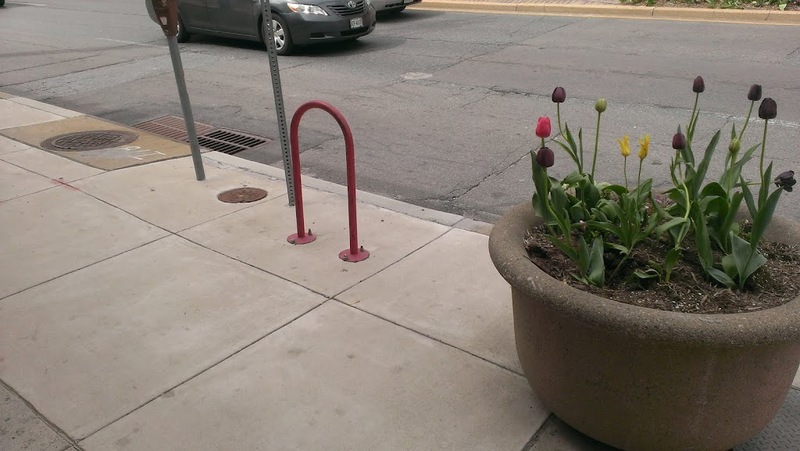 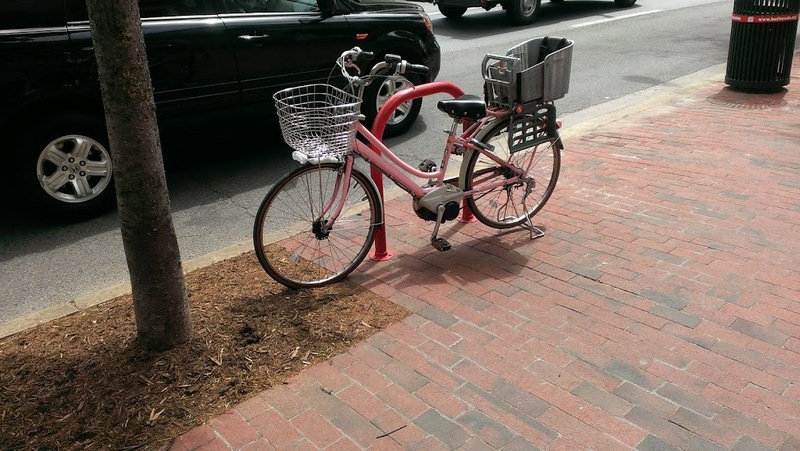 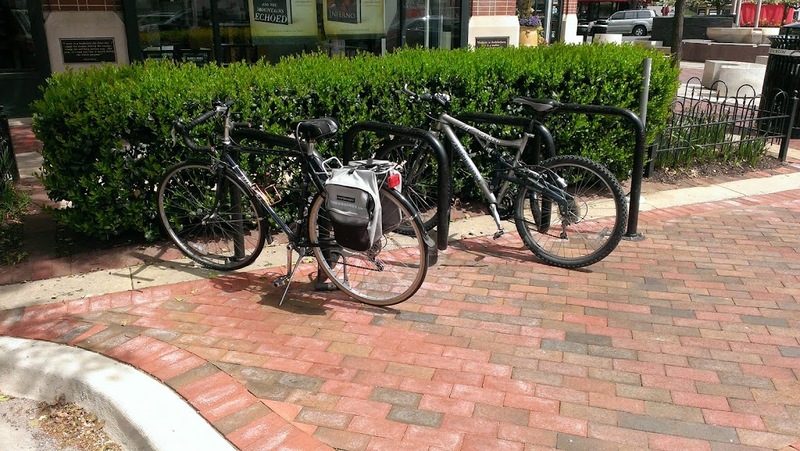 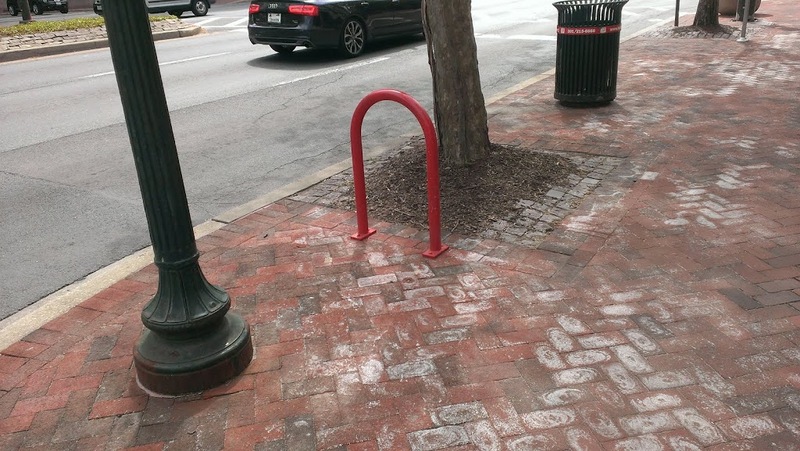 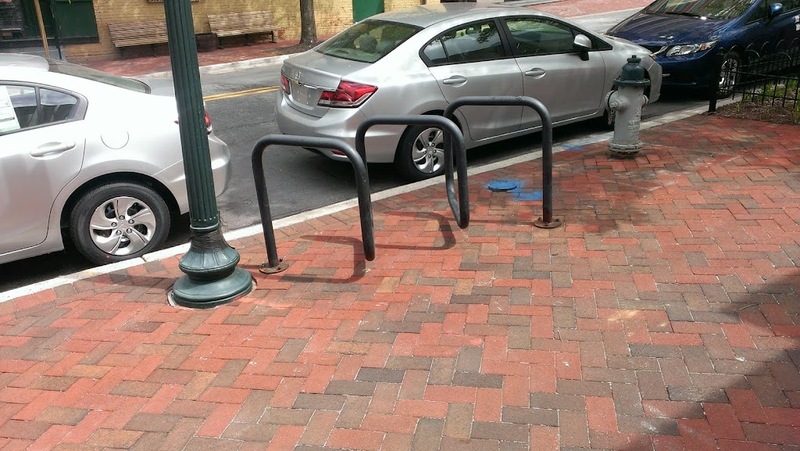 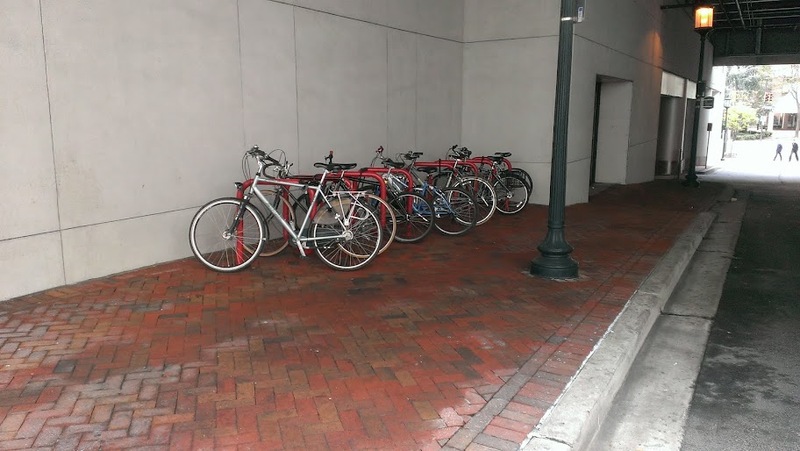 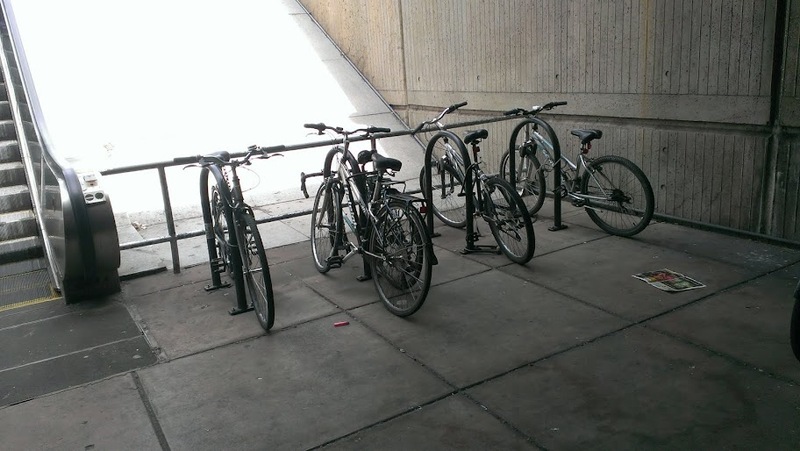 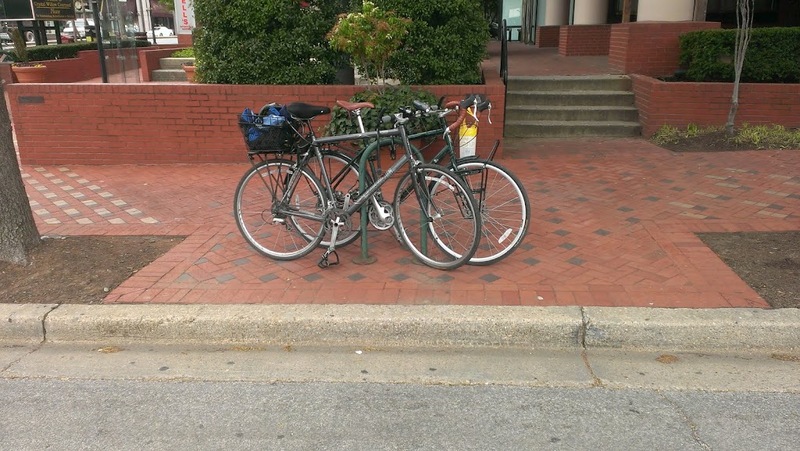 Did you know that the Bethesda Central Business District has over 90 easy to use bike racks? 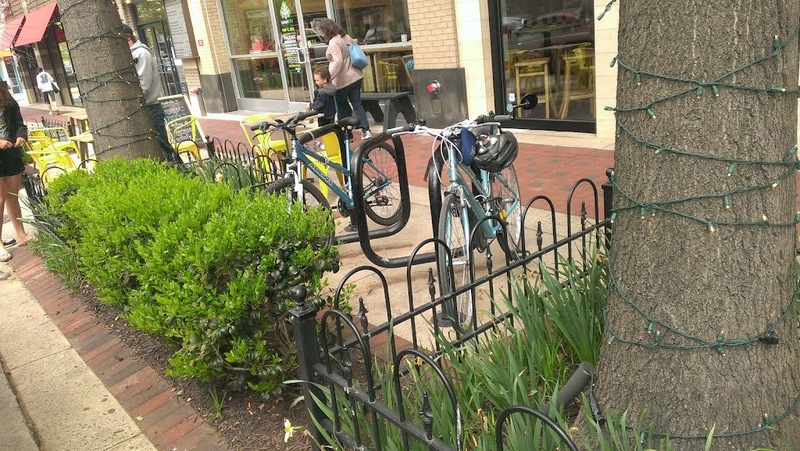 So, cycle into Downtown Bethesda on routes such as the Capital Crescent Trail, and park your bicycle at any bike rack. 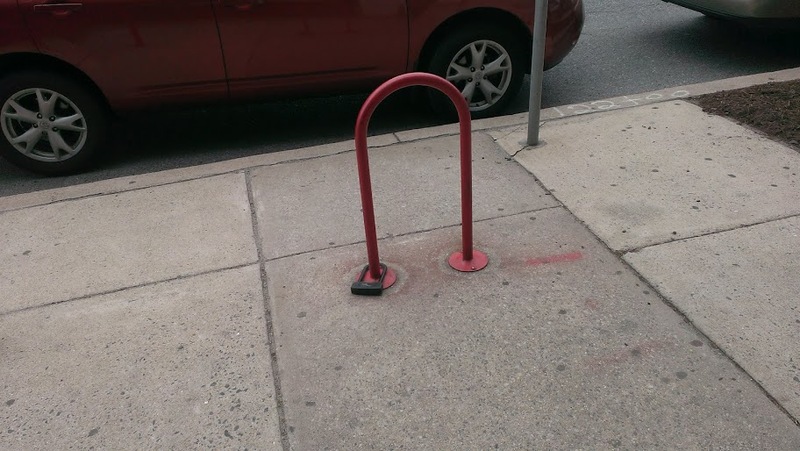 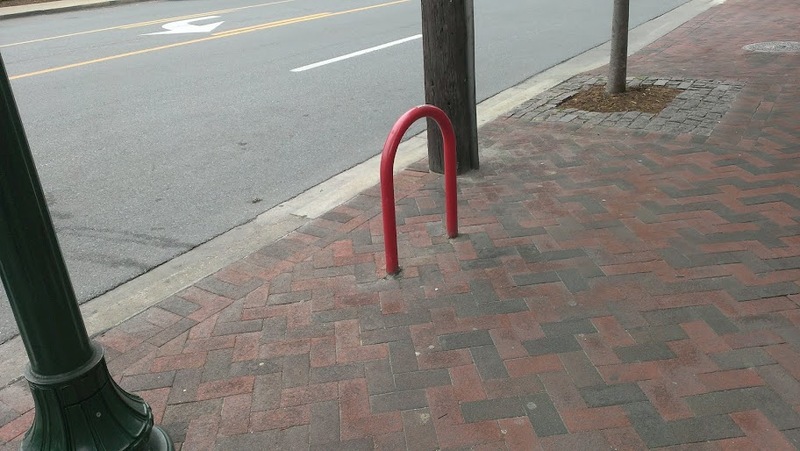 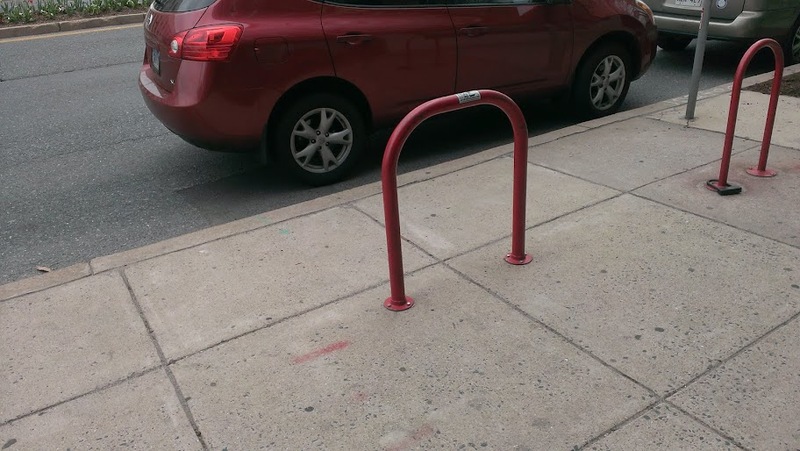 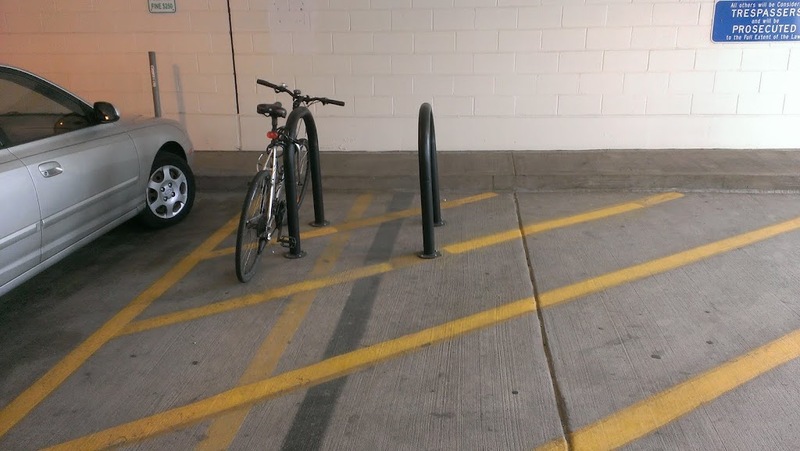 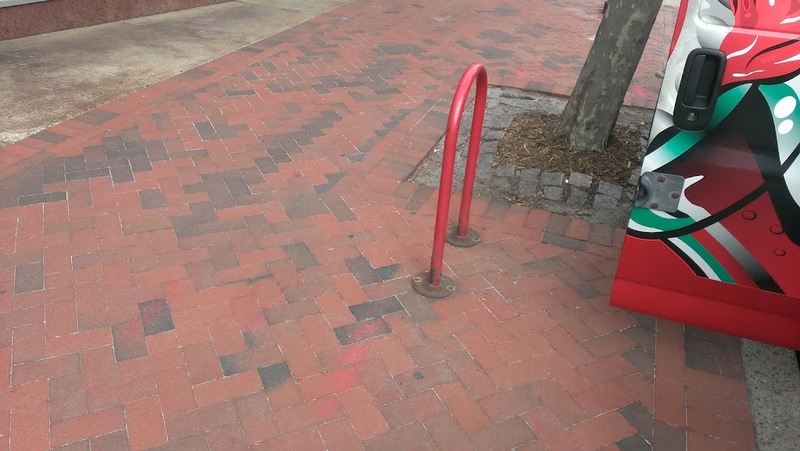 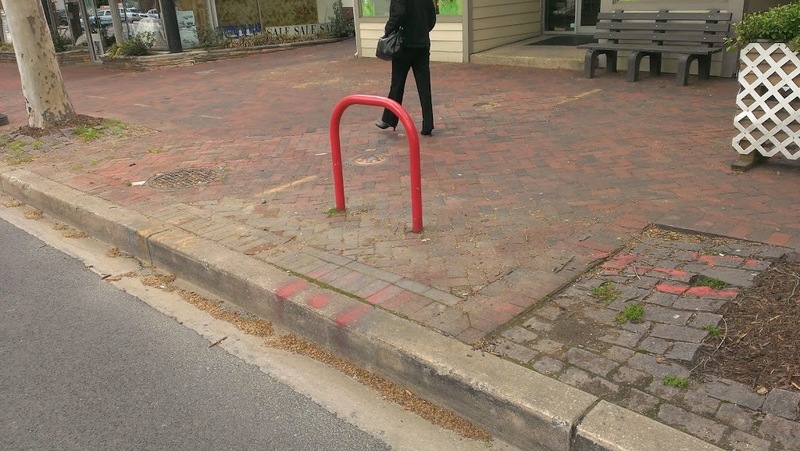 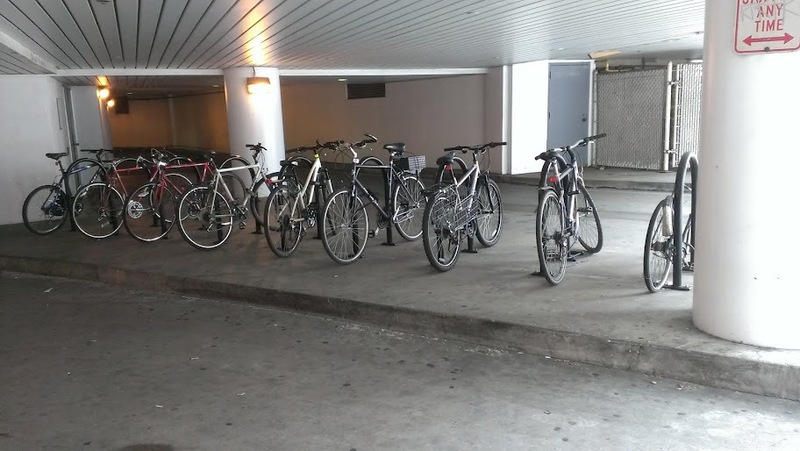 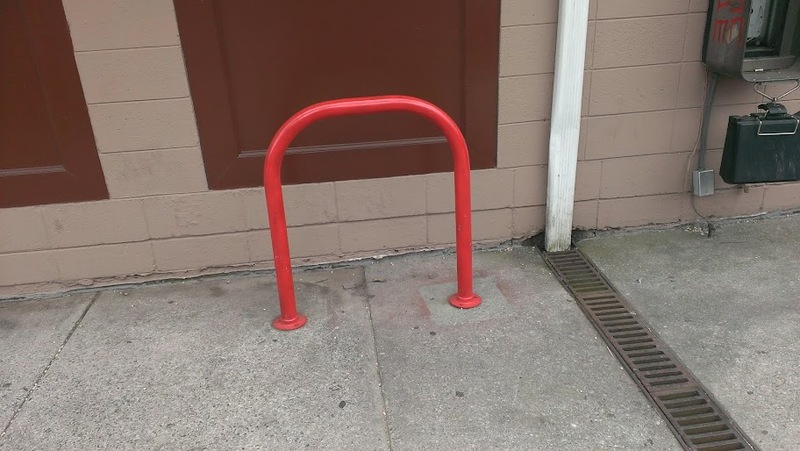 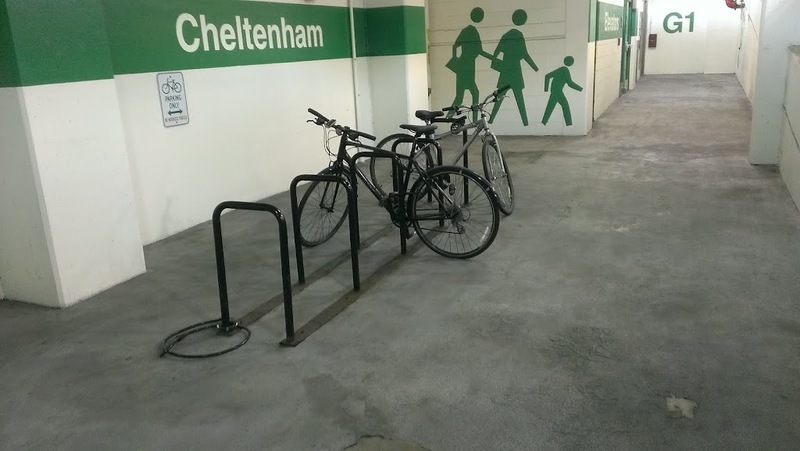 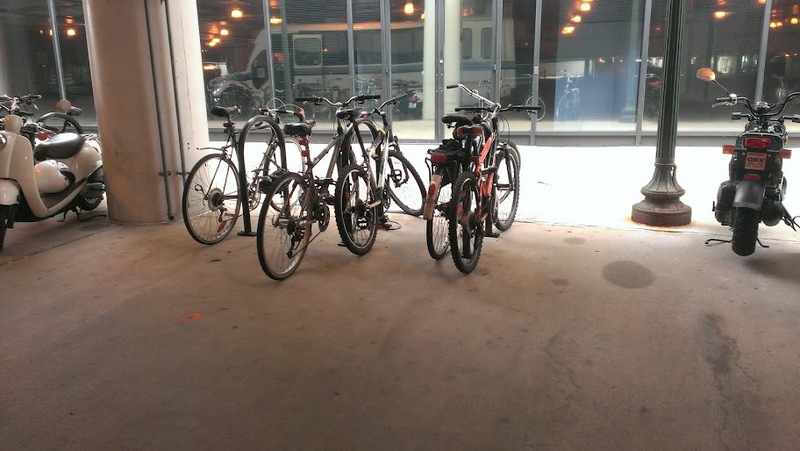 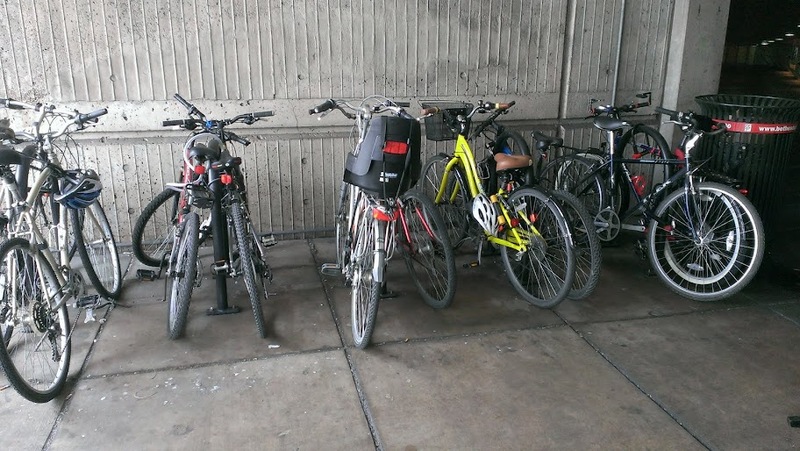 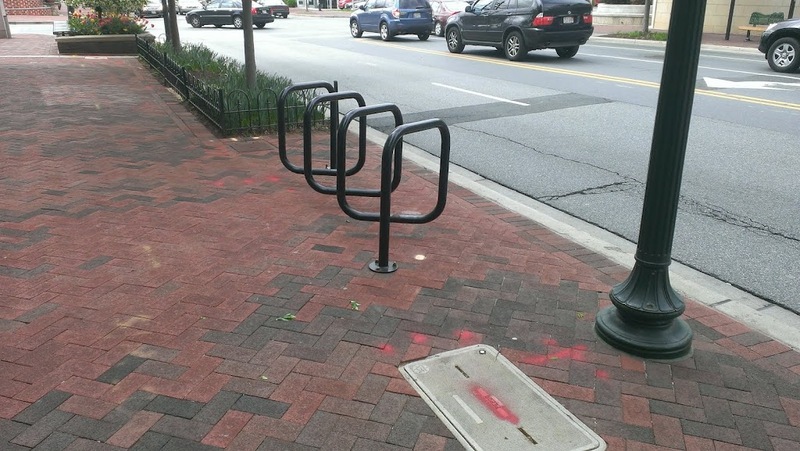 To see a photo of each bike rack, click on the red dot. 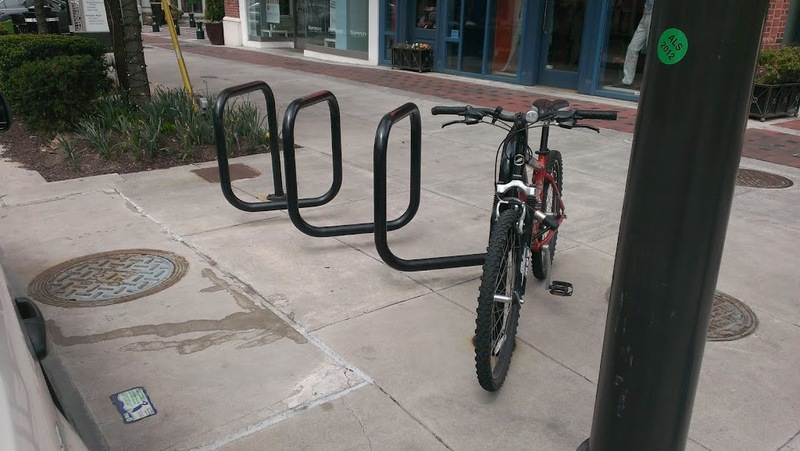 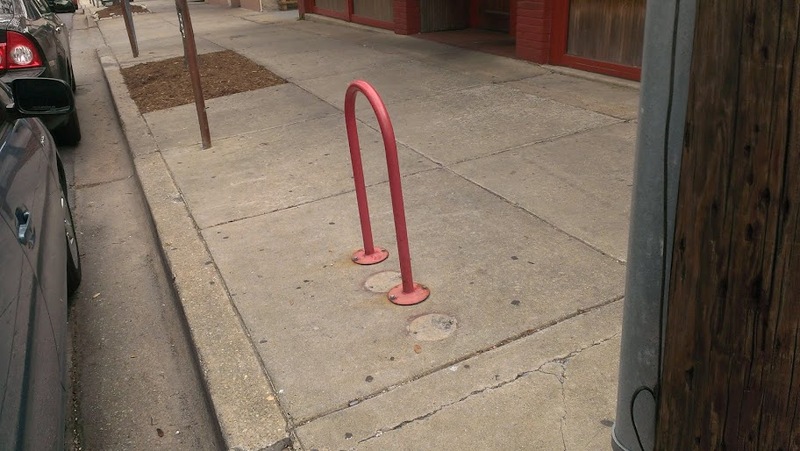 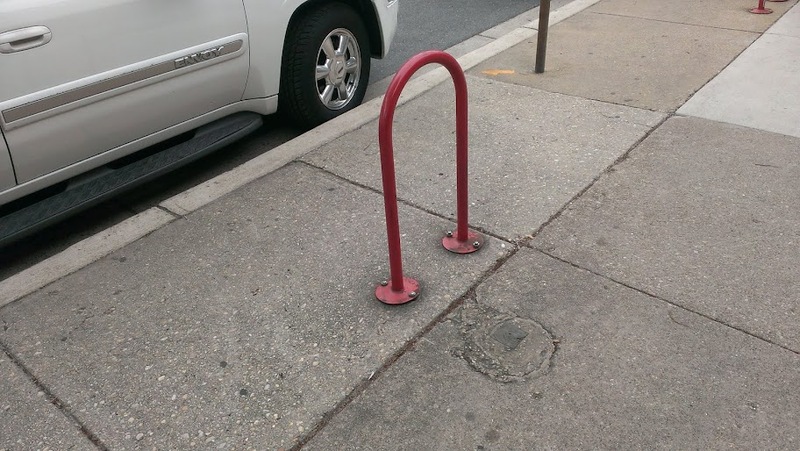 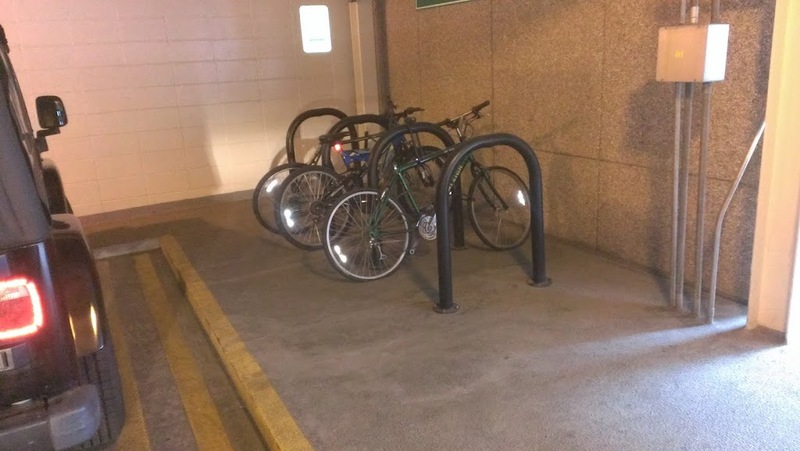 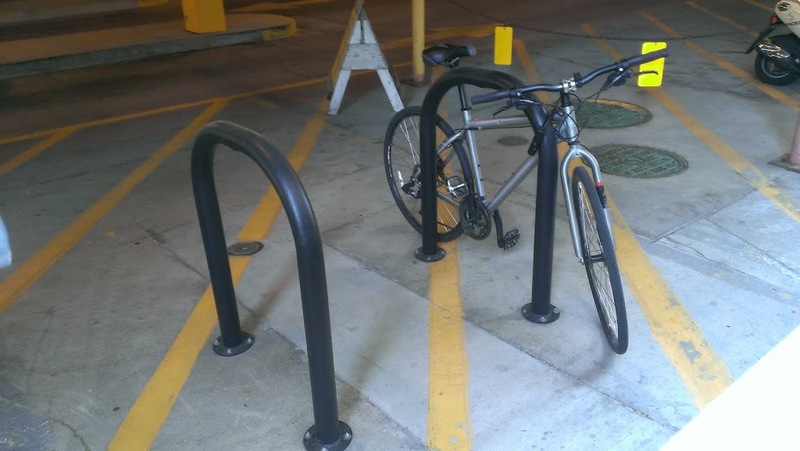 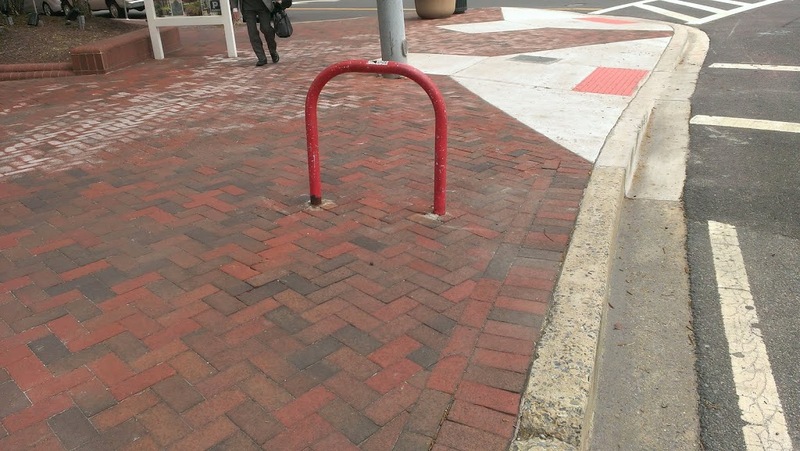 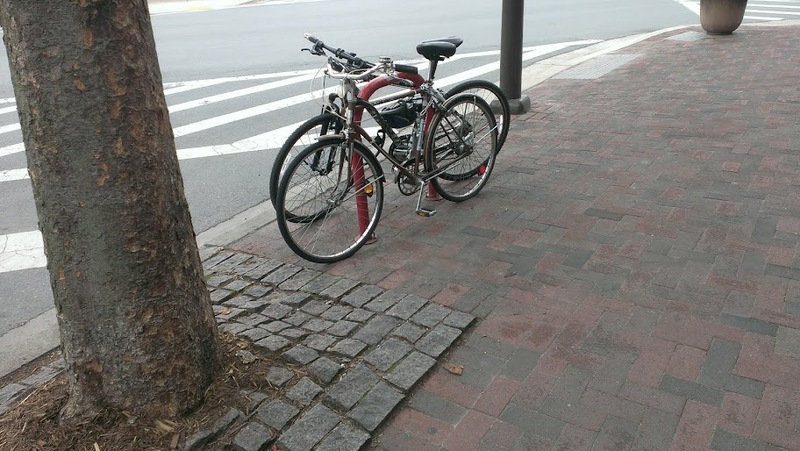 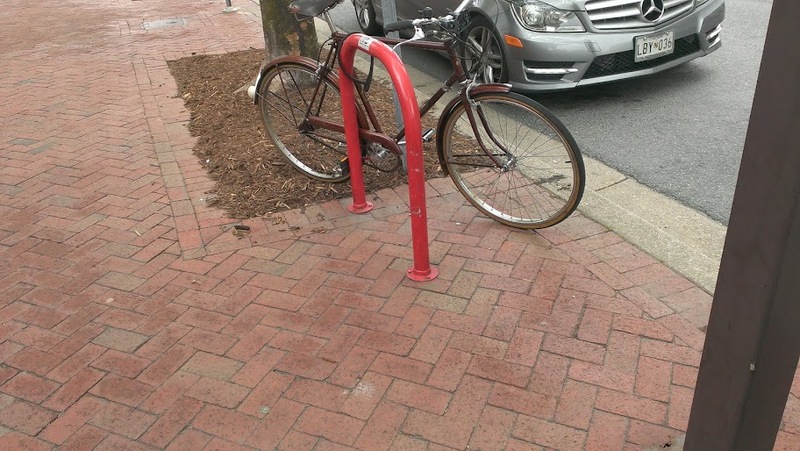 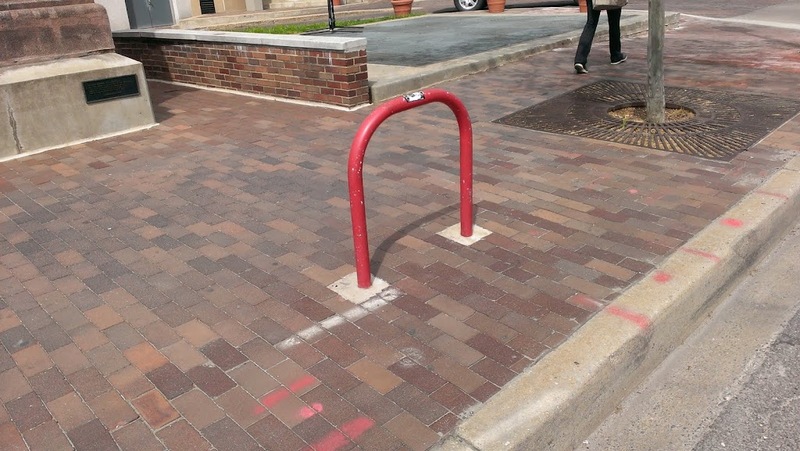 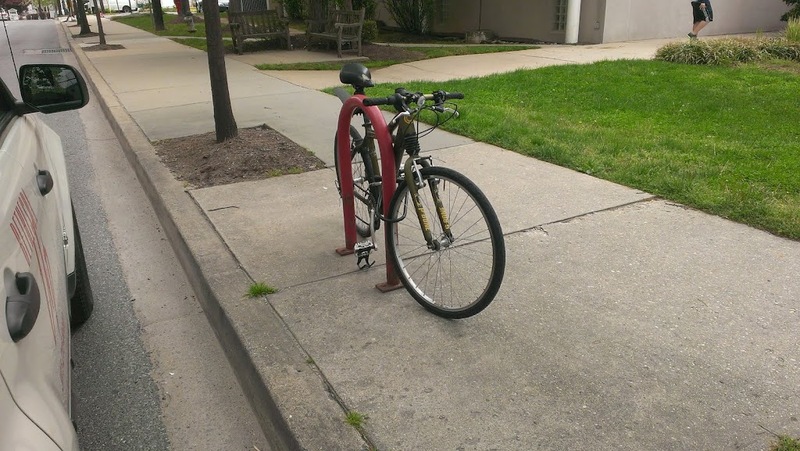 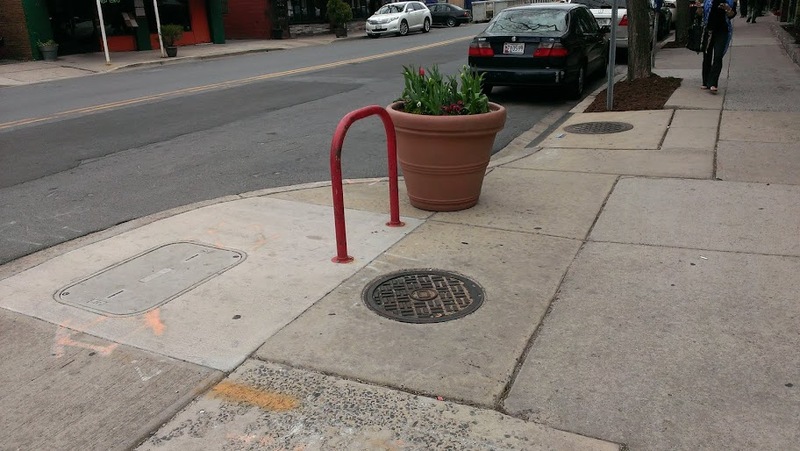 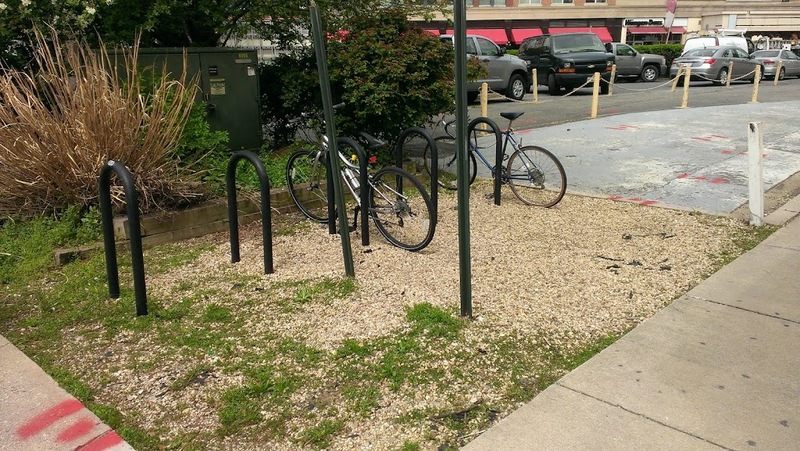 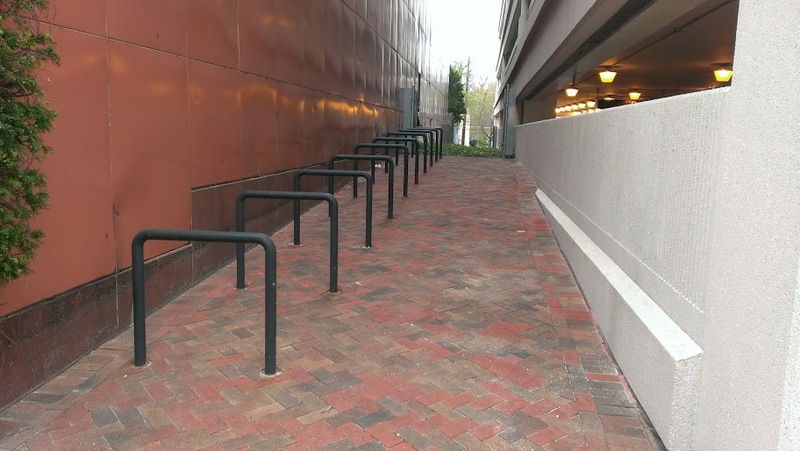 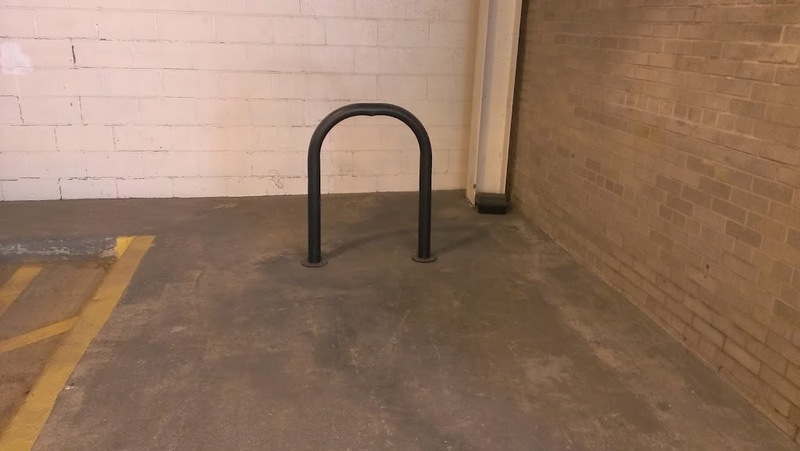 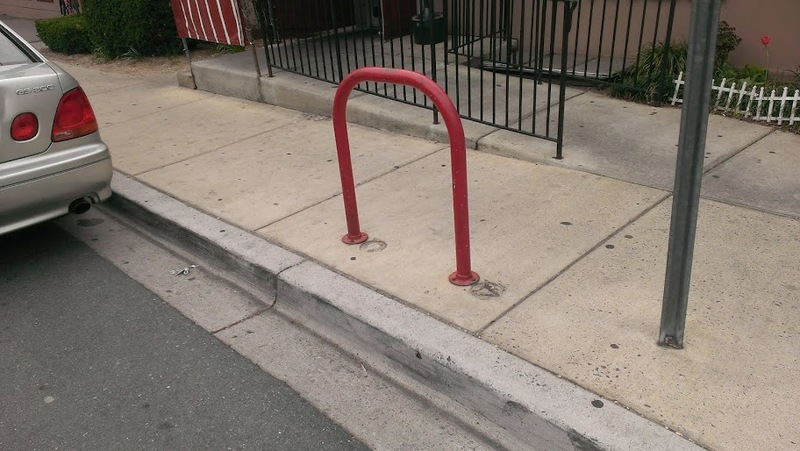 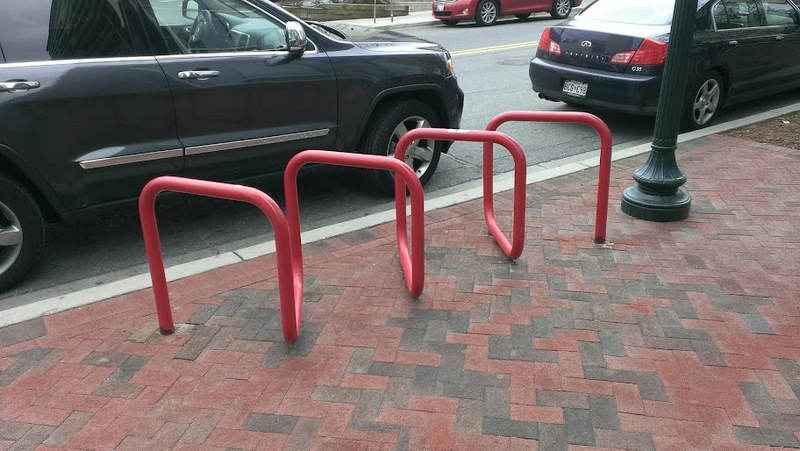 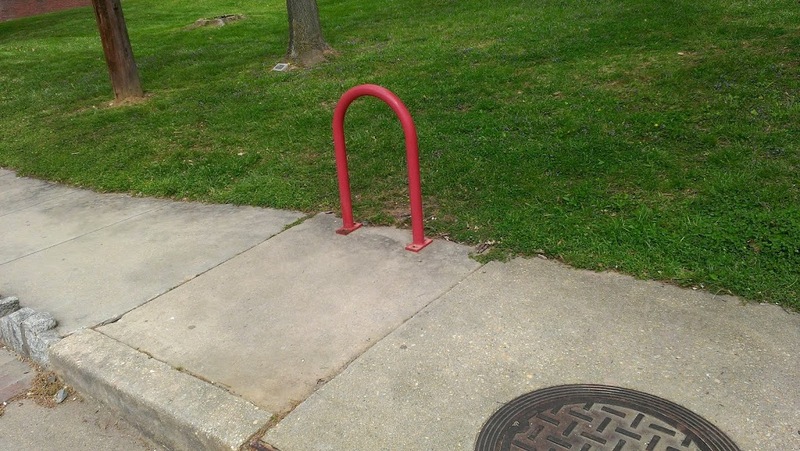 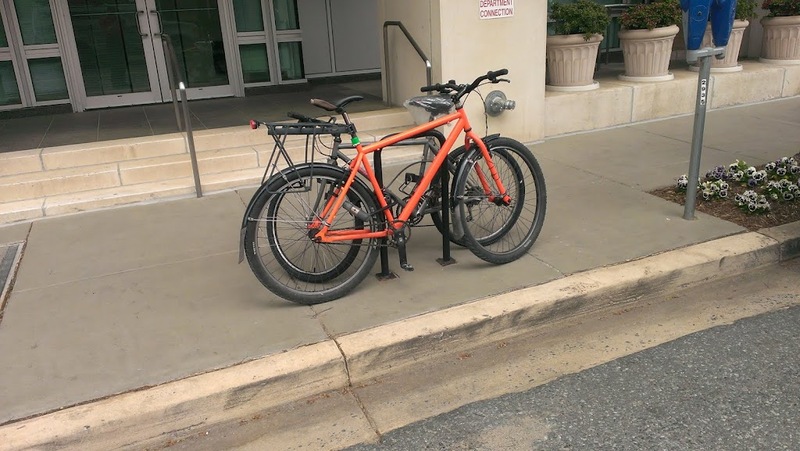 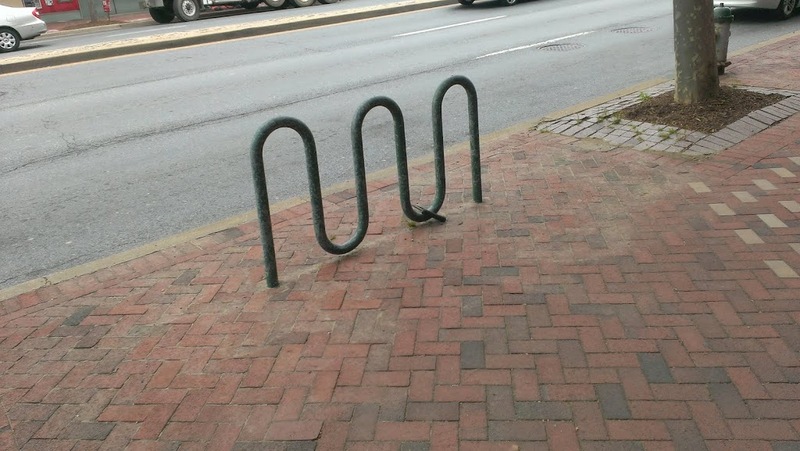 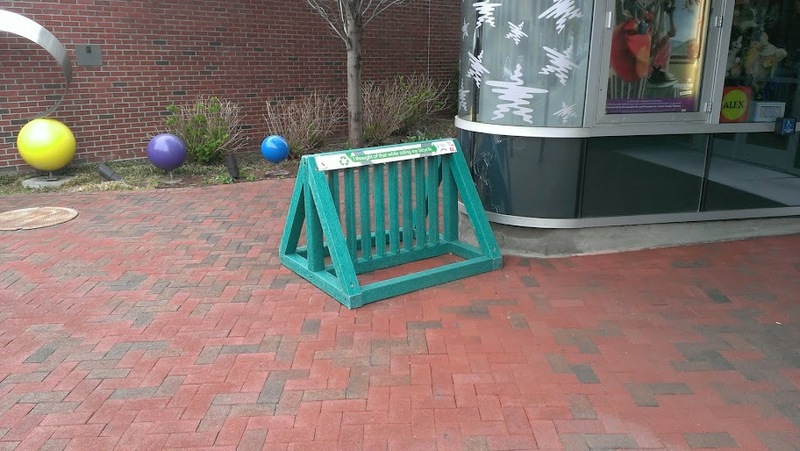 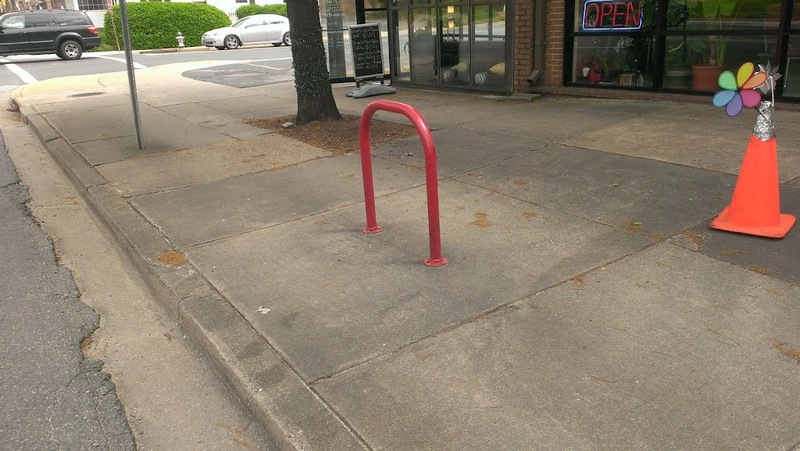 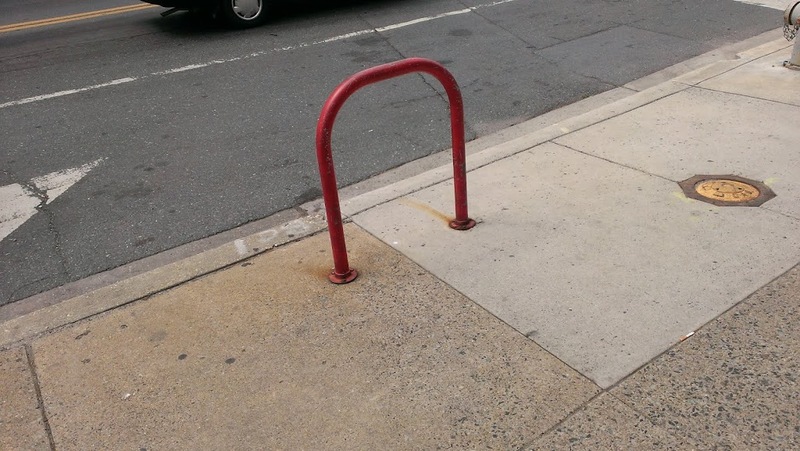 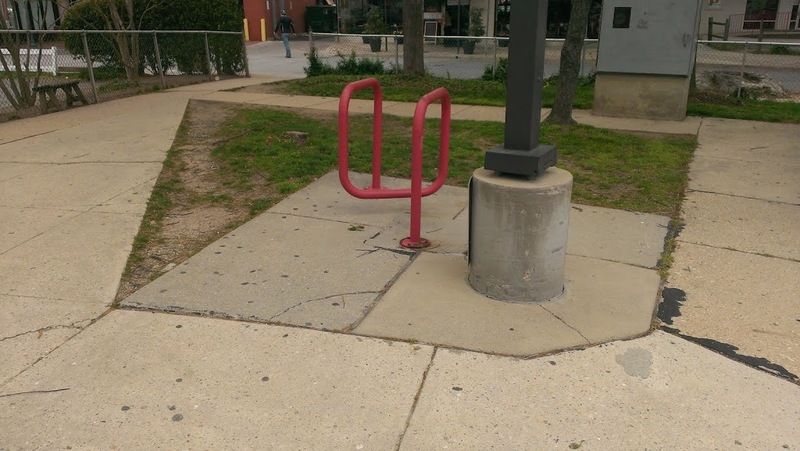 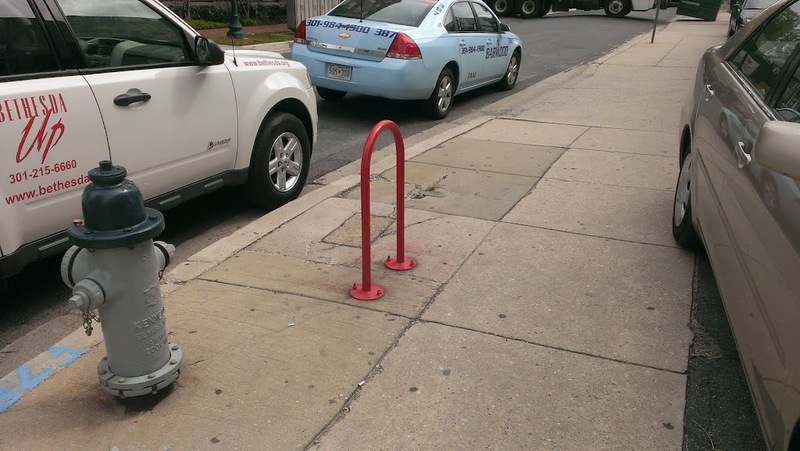 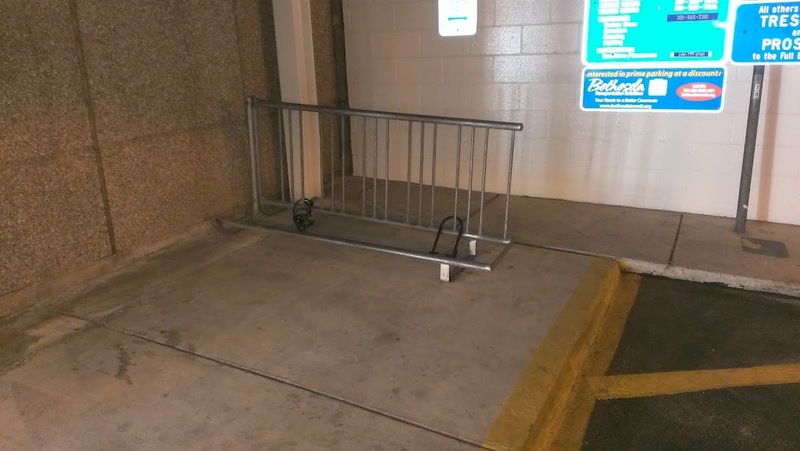 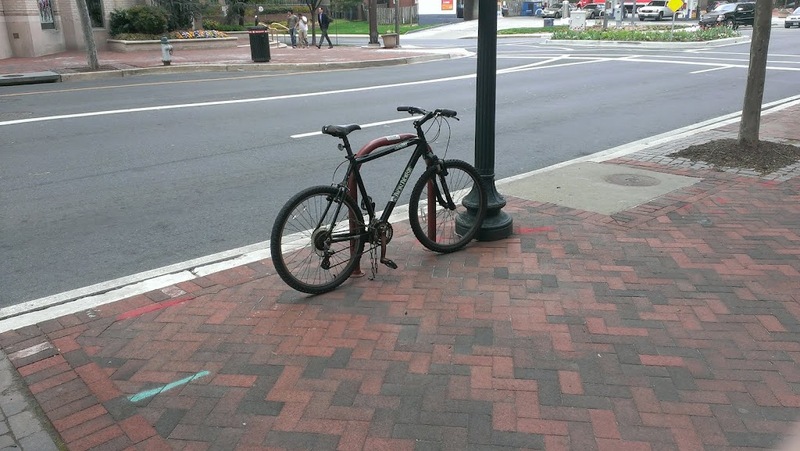 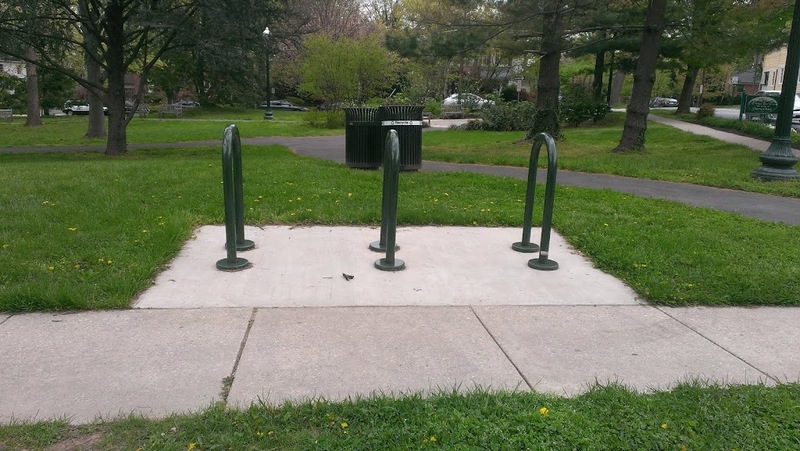 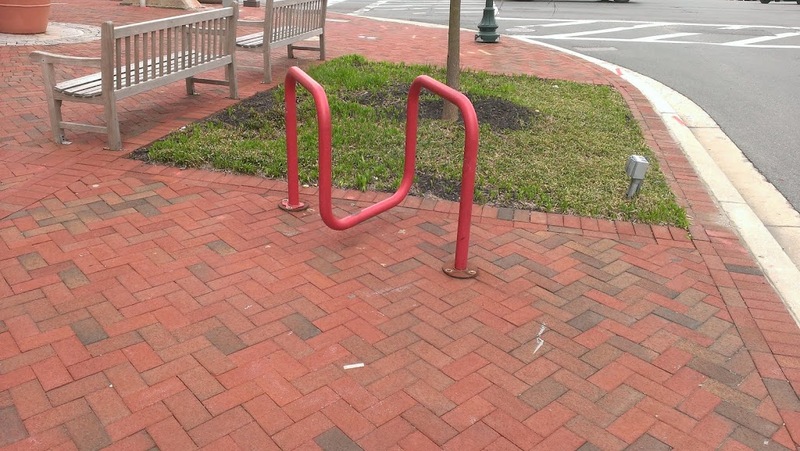 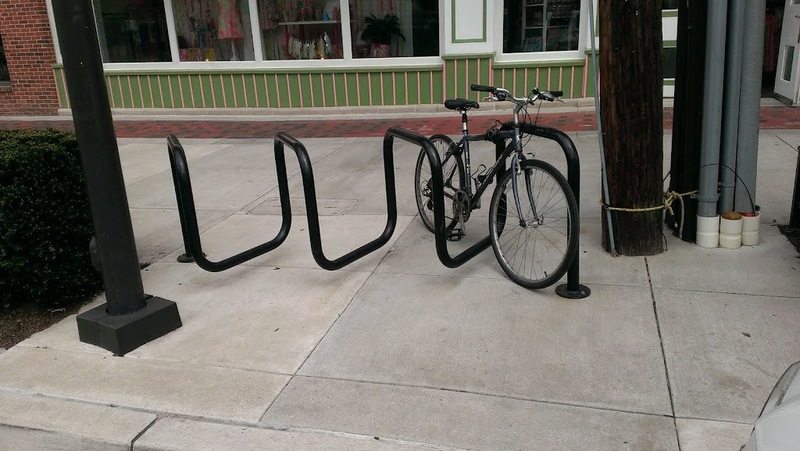 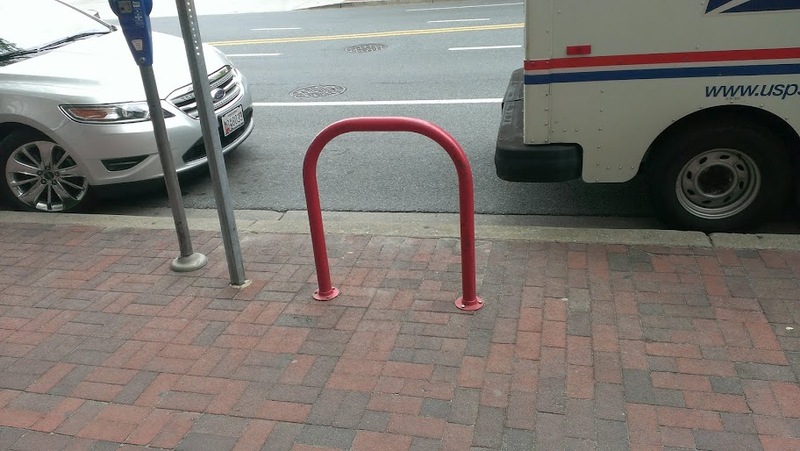 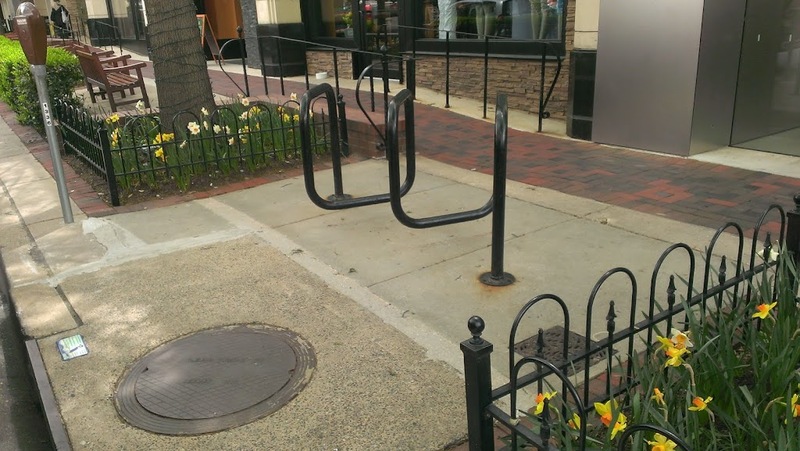 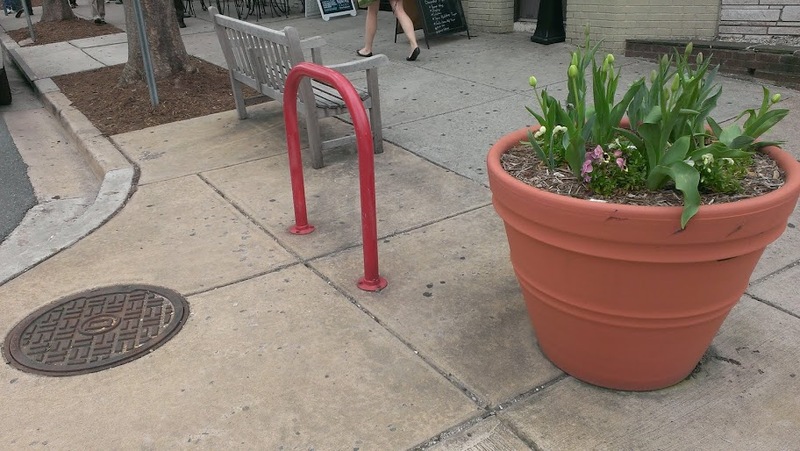 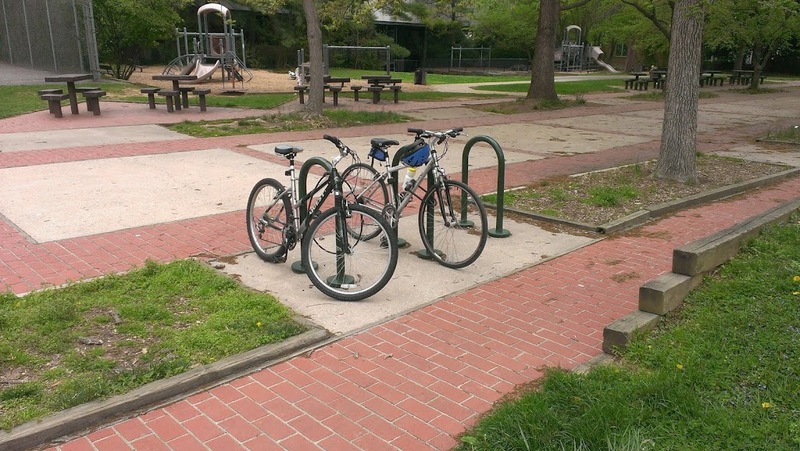 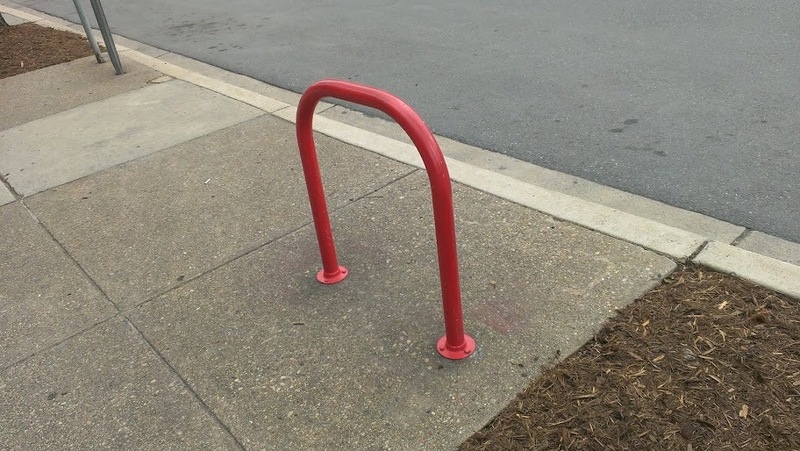 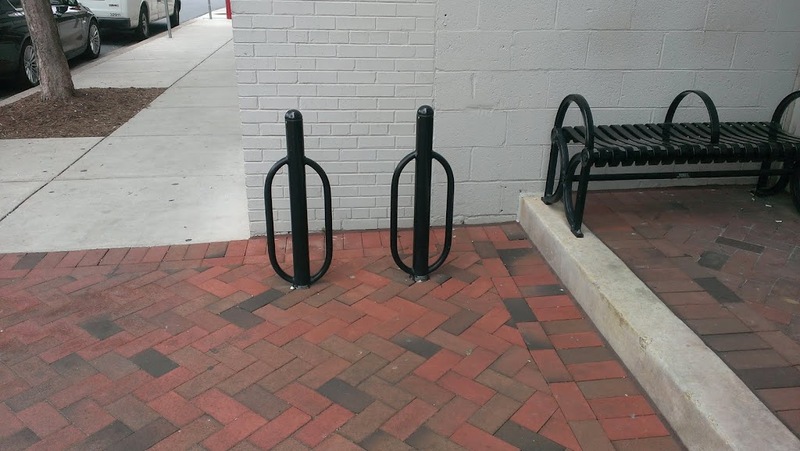 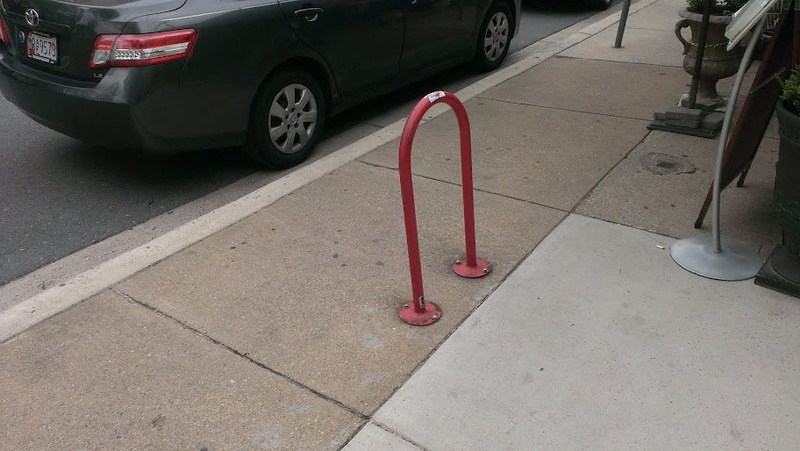 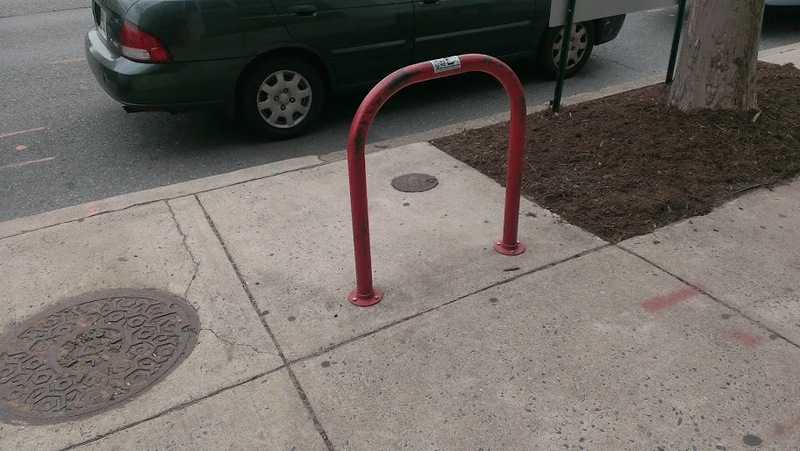 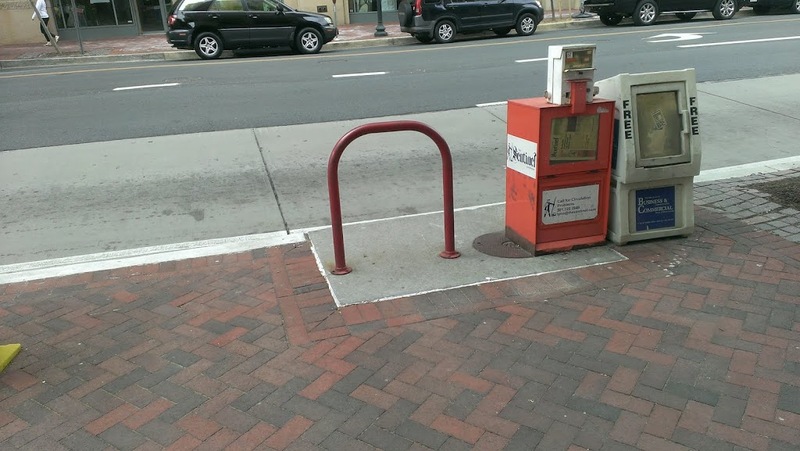 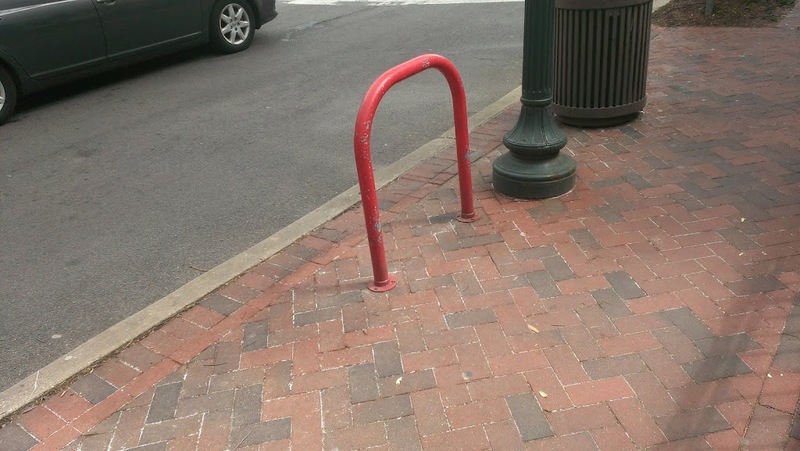 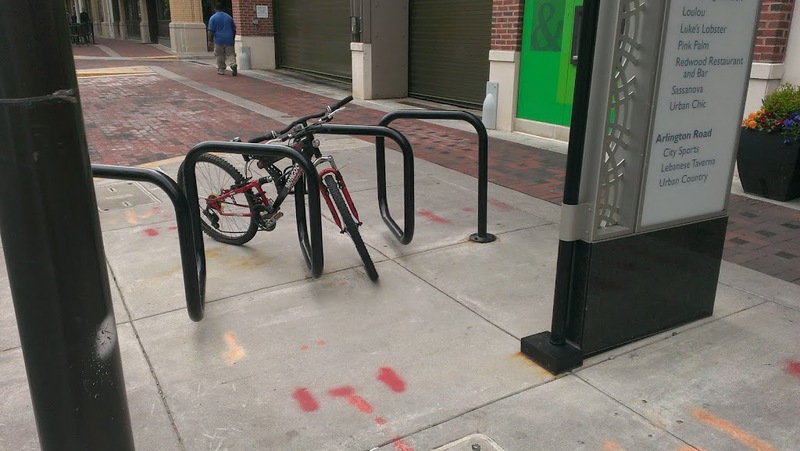 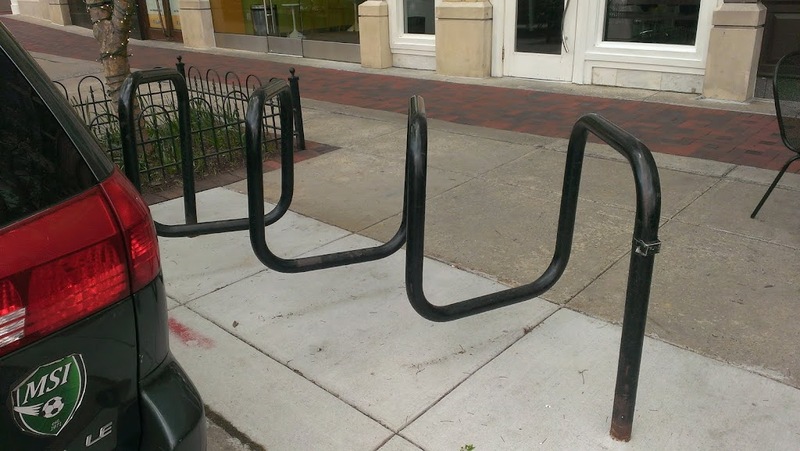 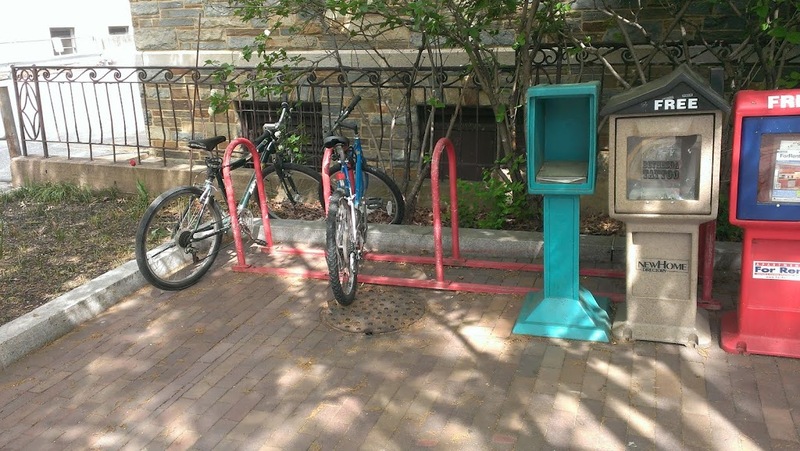 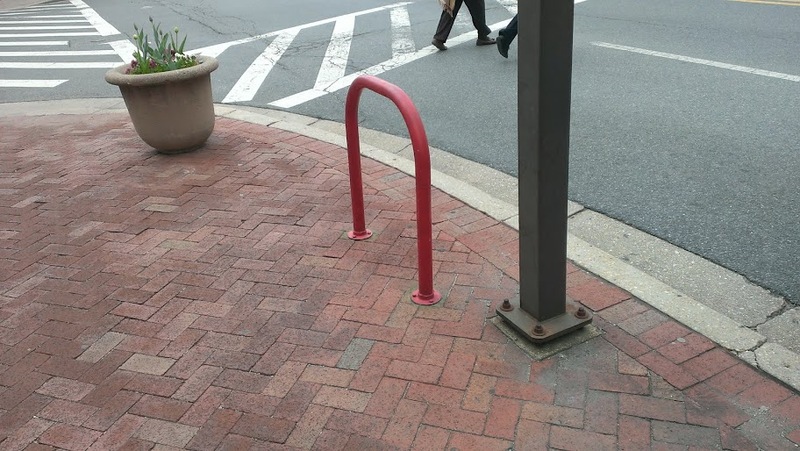 If you would like to request the installation of a bike rack in a location in Downtown Bethesda where there isn't one, you can fill out a form to send to Montgomery County by clicking here. 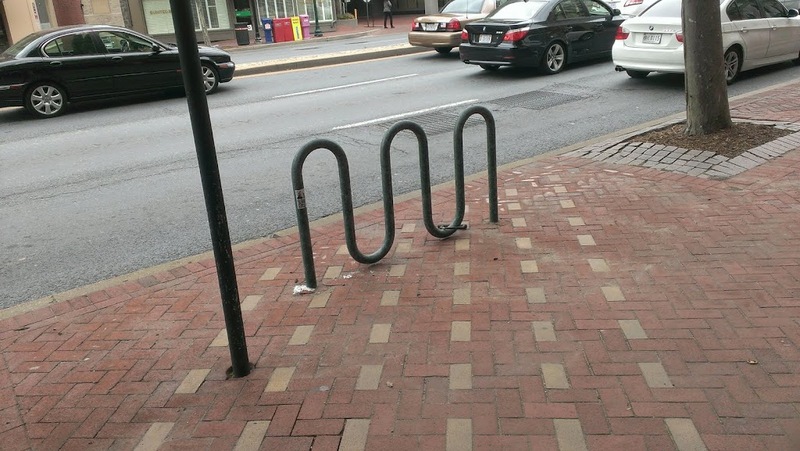 Click here for regional bike rack maps, or go to www.bikemontgomery.com for more information about bike infrastructure in Montgomery County.